Joined up thinking – and action! “Integrated” is one of those words used everywhere in sustainable development circles. Yes, absolutely! everyone says, but in practice it’s complicated. One of the great things about Maristanis is how we put integration into practice every day on three key levels. 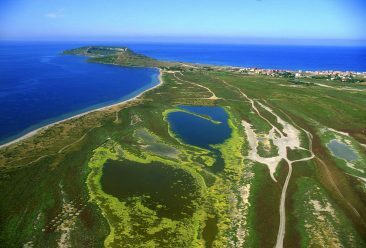 Maristanis, based in the Gulf of Oristano, in Sardinia, is one of three pilot projects in MAVA’s programme for coastal wetlands conservation in the Mediterranean Basin. Our sister projects are a wetlands site near Bizerte, Tunisia, and another spanning Albania and Montenegro. Maristanis is coordinated and implemented by a dedicated team of the Mediterranean and Coast Foundation (MEDSEA). The most fundamental level of integration is a shared commitment to the ICZM (Integrated Coastal Zone Management) protocol for the Mediterranean. The “I” of ICZM means local actions and plans need to be considered in relation to regional and national strategies; it means recognising the complex interactions between the coast, wetlands and lagoons and the sea itself; finally, it focuses on the interdependence between a healthy coastal environment and a thriving population. ICZM is at the heart of Maristanis. In complex systems it can be easy to lose focus. Action Plans are a way to identify priority areas of intervention – in this case conserving coastal wetlands – and provide a framework for action. The focus is on three areas: building capacity so that sites are better managed; raising awareness about the value of coastal ecosystems; and showing how local solutions work in different contexts. A single focus and clear objectives help shape the plans and actions of the three sites chosen for pilot projects, which operate in different political and ecological contexts: one on an island in the EU, one straddling two European countries outside the EU and another in North Africa. The wetlands Action Plan is one of seven for the Mediterranean Basin. Here again, integration is vital. Just as the impacts of land-based activities do not stop at the coast, actions in wetlands conservation influence, are influenced by, changes in how rivers, fisheries and biodiversity are managed. MAVA’s Strategy Steering Group for the Mediterranean Basin provides the forum for understanding related initiatives, examining interactions, identifying synergies and integrating actions. It enables Maristanis never to lose sight of the big picture. 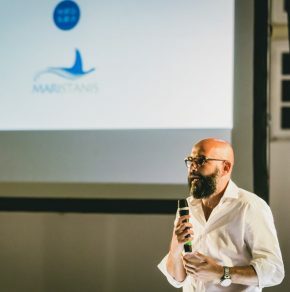 Maristanis works in what in many ways is the ideal environment: an area of outstanding natural beauty that includes one marine protected area and six Ramsar sites established decades ago as well as 16 “Natura 2000” sites. Sardinia has a relatively small population, as do the 13 municipalities in the Gulf of Oristano, so detrimental human impacts ought to be limited. Italy ratified the Ramsar Convention early, in 1977, and the first COP was held in Cagliari, Sardinia, so institutional support should be strong. In practice, however, things can be messy at the local level. Resources and priorities are contested by different interest groups, many site management plans are incomplete, municipalities often lack the skills they need to develop, implement, monitor and update them. Unsurprisingly, the answer is integration. Joined up thinking and action: all parties working together on the issues, using scientific evidence, and agreeing workable solutions for all. This is the what the MEDSEA’s team is trying to achieve, and already largely succeeding. Desk and primary research, interviews, bilateral meetings and sessions of the Local Consultation Group (LCG) enabled the team to find out why local good practice, such as a robust plan for the S’Ena Arrubia lagoon, was not adopted elsewhere. Open debate and an inclusive, participatory process highlighted three major constraints: limited public sector capacity to draft and implement Natura 2000 management plans; local perceptions that plans focus only on nature, not people; and difficulties in accessing funding. Successive LCGs have focused on resolving these issues, agreeing an independent body should oversee integrated management of the six Ramsar sites and provide technical support to individual municipalities on regulatory and legal frameworks applicable to their sites. The group has discussed longer term visions – such as the merits of setting up a new Regional Park – and more tangible concerns, like available funding from the Sardinia Regional Administration, which every site could apply for, with help from the MEDSEA’s team. Symbolic gestures also have their place: public and private actors at third meeting signed up to a “Wetlands Contract” to show their commitment to a new form of governance. Integration at the local level is not without its challenges, but when it is underpinned by robust and integrated Action Plans and a shared commitment to ICZM, the chances multiply exponentially for positive change in the conservation of coastal wetlands in the Gulf of Oristano and throughout the Mediterranean.